Maybe you know that you hate skinny jeans. Or super baggy jeans. 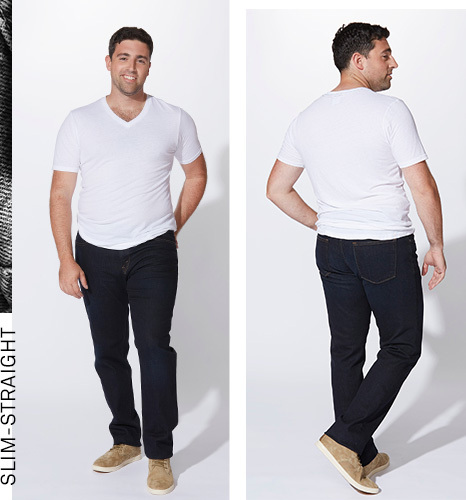 But maybe you don’t know what style of jeans you like. 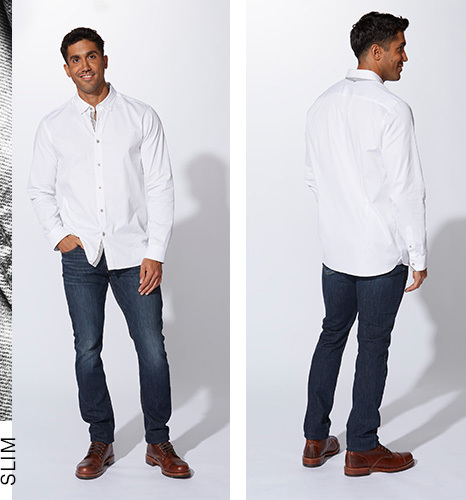 Enter the Trunk Club Denim Guide. 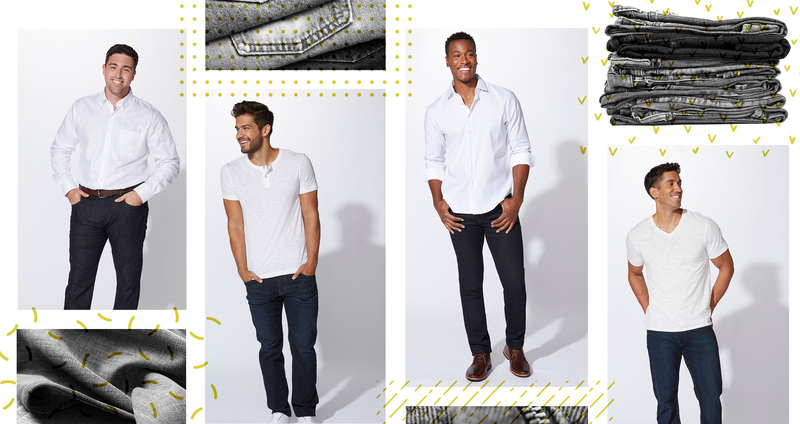 Scroll on to learn about standard denim styles, and which ones are the best suited for your frame. The trick: Stretch it out. 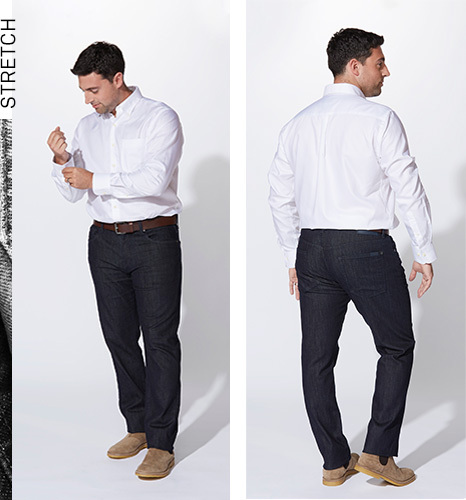 How to do that: If you carry weight in your midsection, look for denim with “stretch” on the label. 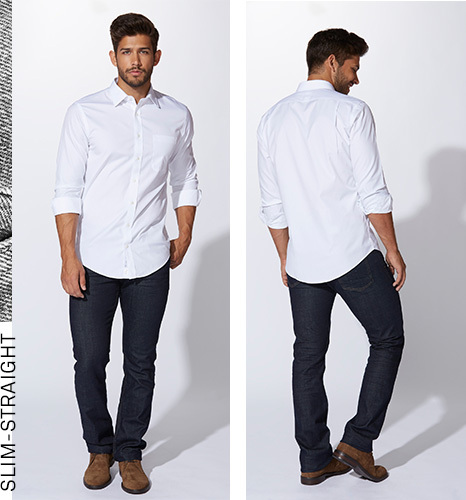 Otherwise, any slim-straight style should offer enough room to move. That said, beware of anything too roomy or relaxed—excess fabric will just add more bulk to your frame. The trick: Create breathing room. 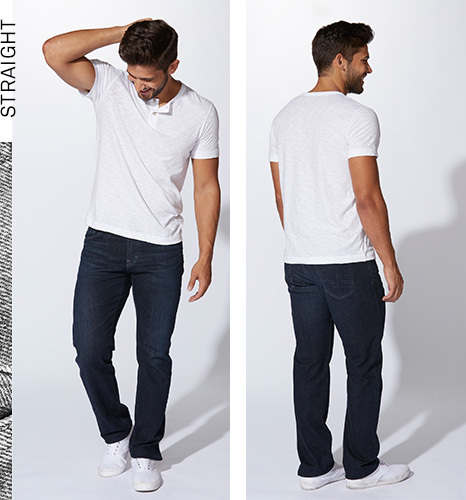 How to do that: If you have muscle, you’ll want to wear jeans that fall a little bit away from your frame. 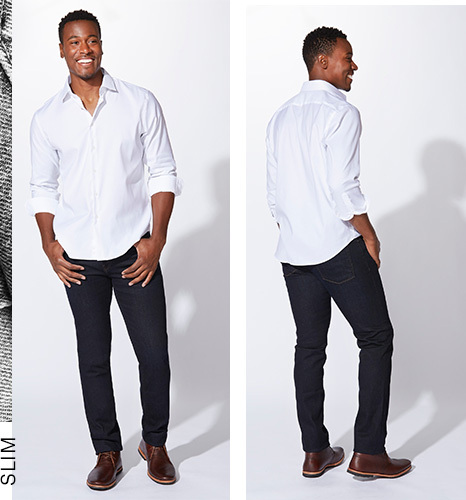 Opt for more relaxed straight-leg and slim-straight styles to avoid any Bruce Banner situations. 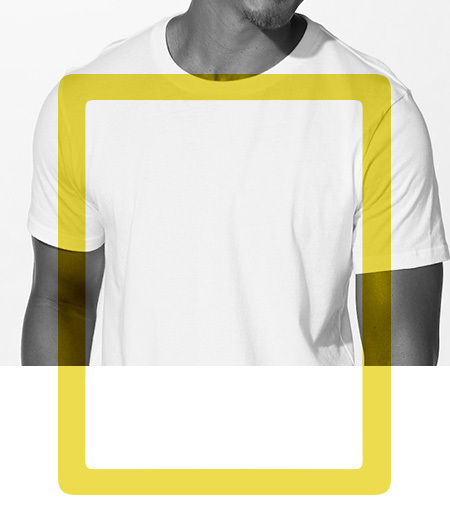 The trick: Keep it simple. 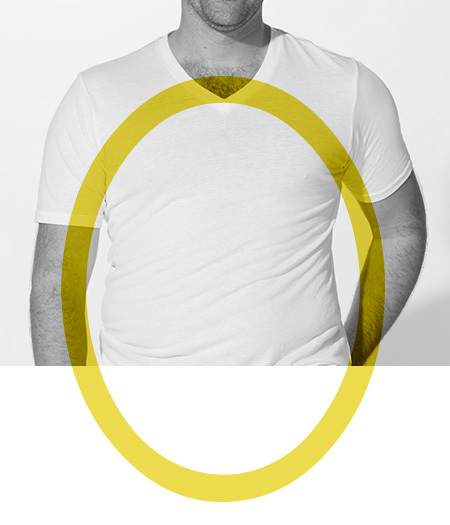 How to do that: When you have a fairly uniform body shape, you don’t want to throw things into disproportion by wearing pants—or shirts, for that matter—with too much volume. 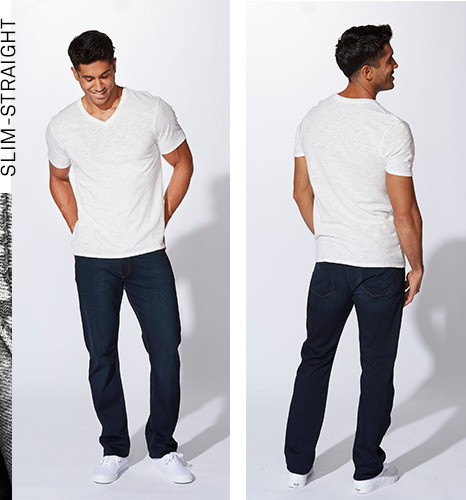 Stick with slim and slim-straight silhouettes that follow your natural build. 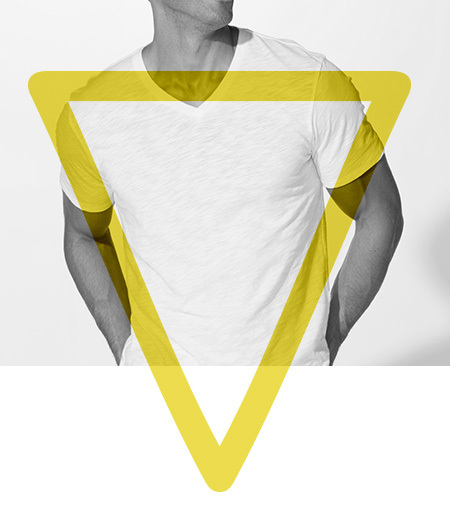 The trick: Balance your proportions. 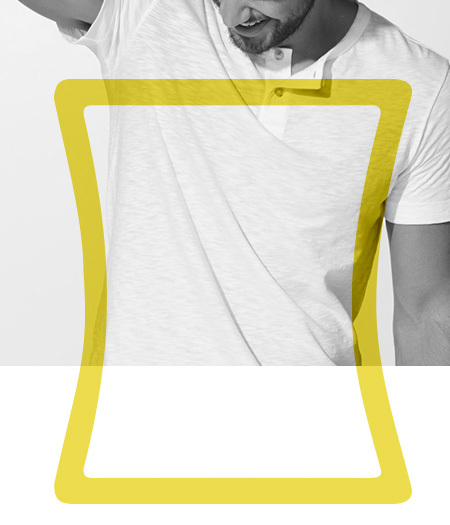 How to do that: Are your shoulders noticeably broader than your waist? Skinny jeans will only exaggerate that. 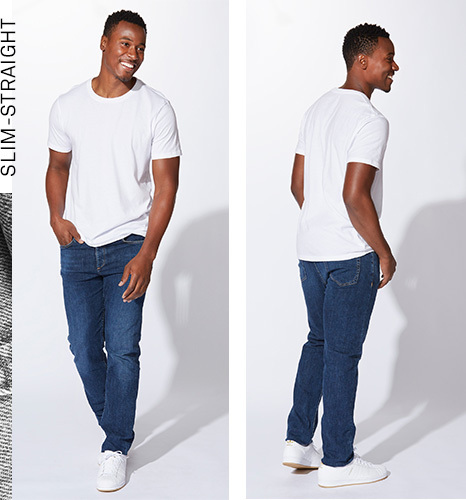 Create just the right balance with slim and slim-straight styles—especially in a lighter wash—that even things out without weighing you down.